For better results, try to practice the more CIL MT Online tests daily. Stay tuned to this page to get daily CIL Management Trainee Practice Papers. Leave a comment below, if this CIL MT Mock Exam helps you up to some extent. Coal India Limited has dispatched the notification to recruit the eligible candidates for the 1319 Management Trainee Vacant posts. Aspirants who are looking for the Latest Government Jobs had applied for the for Coal India Limited Recruitment 2018 before the scheduled dates. to recruit these vacancies, the CIL will conduct the CIL MT Online exam in March Hence, you have to start your preparation now. Free online CIL Management Trainee practice Papers are available here. 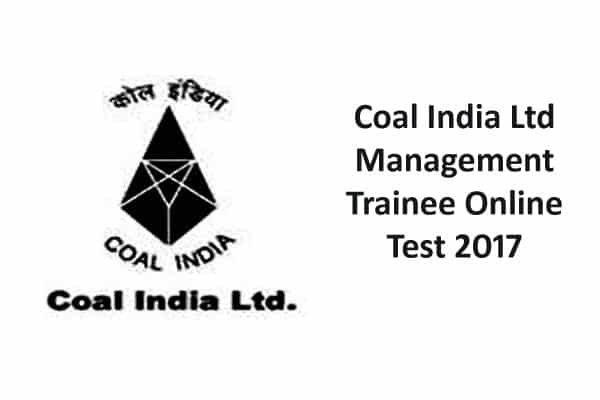 You guys can fetch the required CIL MT Sample Papers and start the preparation for the Coal India Limited Recruitment 2018. on our portal, We have listed the Coal India Limited Management Trainee Previous Papers. Candidates can download CIL Management Trainee Model Papers at a free of cost. Applicants for the CIL Management Trainee Posts can practice the free CIL MT Online exam to improve the professional knowledge. Name of Posts Management Trainee. It’s very nice practice test for getting perfect clue…. Very nice ….I need more such practice test….. Thank u Mr. Satish, visit Mock Test Series Page to get more online Tests.